Many parents feel unsure about how to share music with their preschooler. 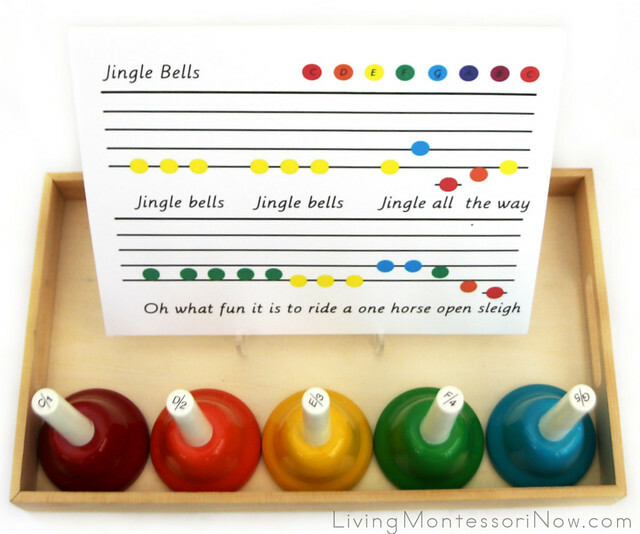 Today, I have activities that make music easy along with Montessori-inspired Christmas bell activities. 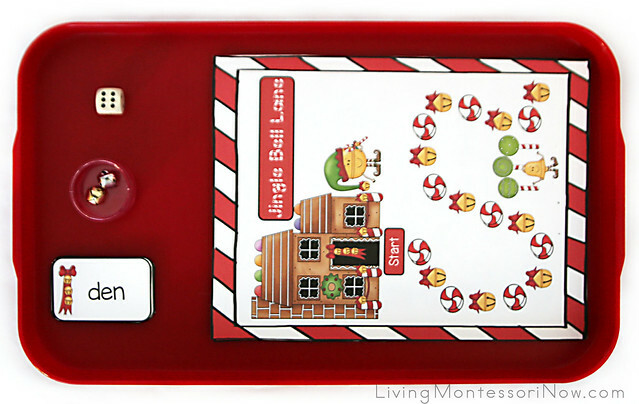 You’ll find free bell printables for a variety of bells, including Christmas bells. 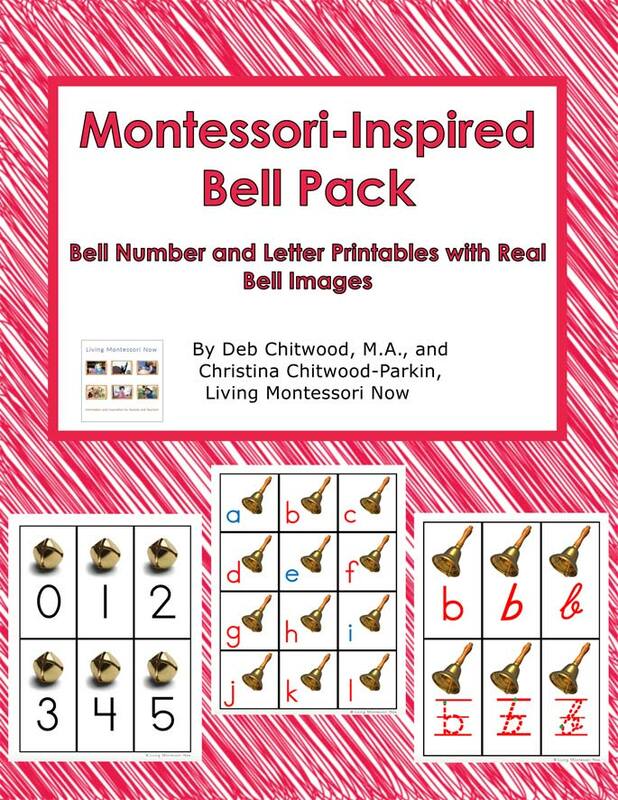 Here, I’m also sharing the links to free bell printables for preschoolers through 1st graders (and sometimes older). To keep my list manageable, I don’t share coloring pages unless a page has a specific educational purpose related to bells. 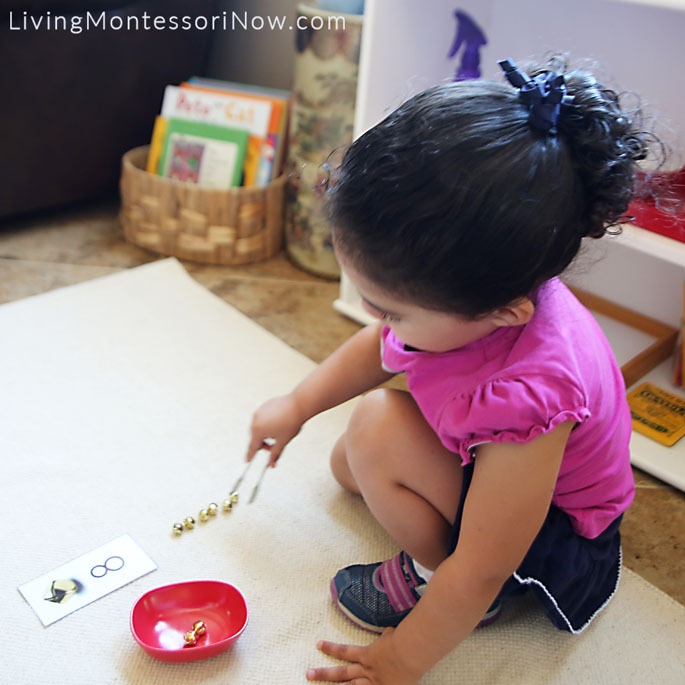 At PreK + K Sharing, I tell how I used the printables to prepare Montessori-inspired bell activities. I also have links to other posts with additional ideas and presentations. 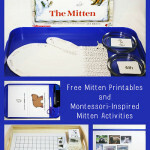 For this activity, I used a Multicraft tray and set of 8 handbells. 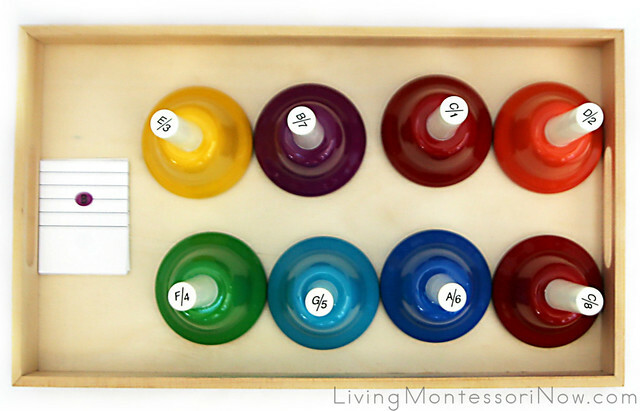 For this activity, I used a Multicraft tray, a small tabletop easel, and the 5 lowest bells from the handbell set. 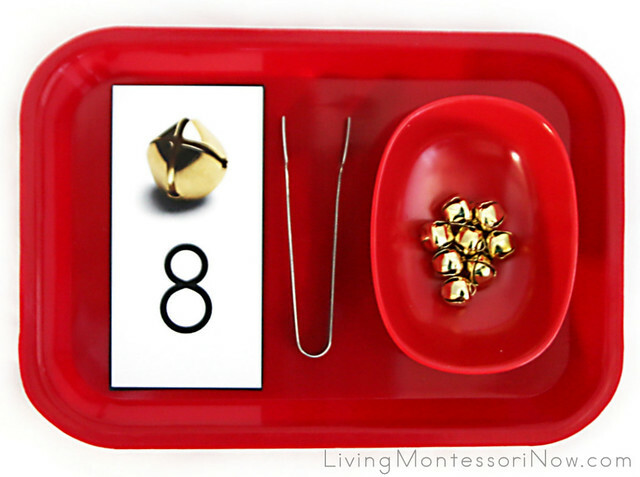 For this activity, I used a Montessori Services medium-size tray, sugar tong, and exact number of bells to match a number card. 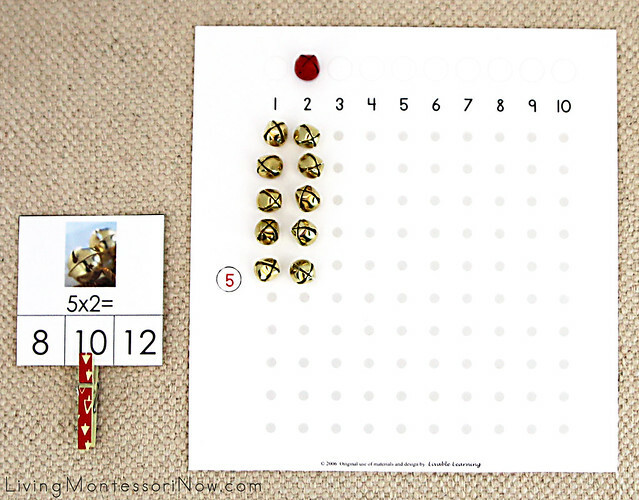 I purchased a set of 144 ½” gold bells to use for a number of activities. 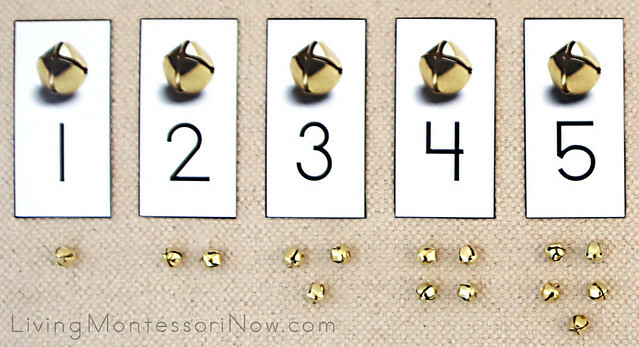 I used a Montessori Services medium-size tray, the number cards for 1-10, and 55 of the 144 ½” gold bells. 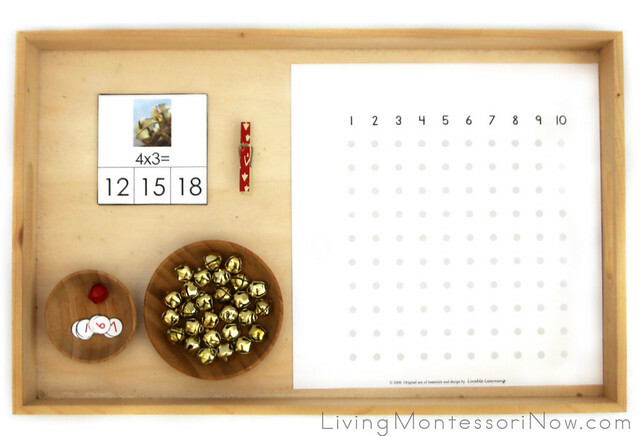 For this activity, I used a Multicraft tray, 27 of the bells for multiplication facts through 9×3, a small red bell for the top of the multiplication “board”, Bambu large condiment cup for the bells, small Bambu condiment cup for other pieces, and a miniature clothespin. 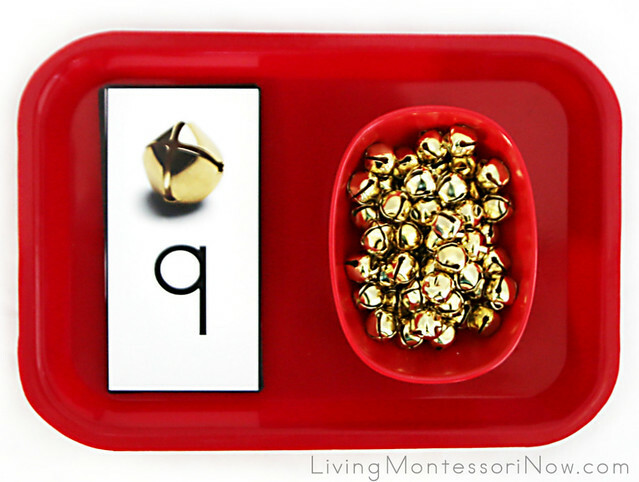 I used a Montessori Services large plastic tray, dice, and gold and silver bells for place holders. 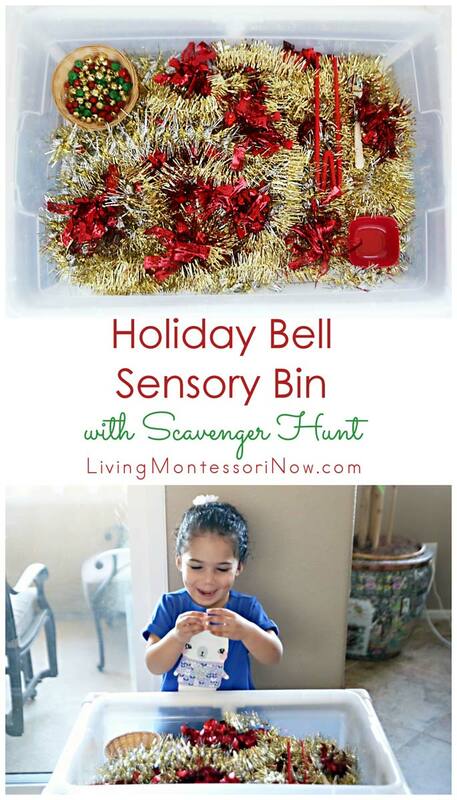 My holiday bell sensory bin and scavenger hunt uses a free printable. 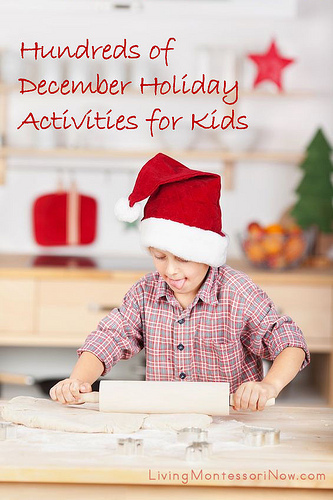 Kids’ Non-Christian Religious Holiday Activities Pinterest Board. 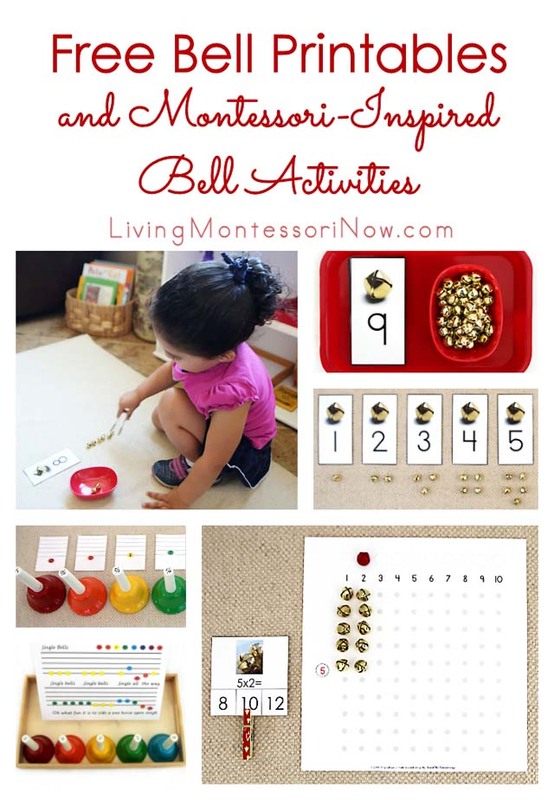 Please join me at PreK + K Sharing for ideas on how to use the free printables to create Montessori-inspired bell activities: Montessori-Inspired Bell Activities Using Free Printables.